FOR SALE: 1974 Volkswagen Beetle Deluxe with 1600 Dual Port freshly rebuilt engine. Restored in 2010 with parts imported from US. Lahore Number. Tax up to date with computerized book and computerized number plates available. Mechanically fit. Always run on petrol giving 12kmpl in city. Entire car up to factory spec with no missing parts. Some spare parts will also be given with the car. Set your Alerts for Volkswagen Beetle in Karachi and we will email you relevant ads. 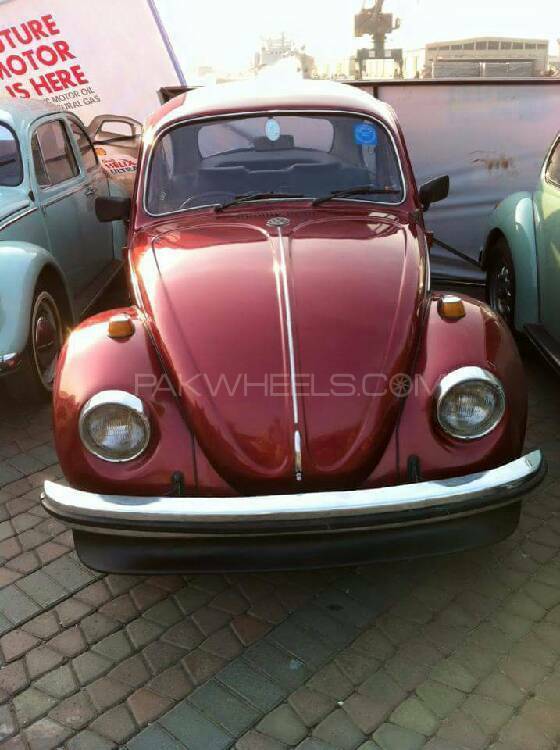 Hi, I am interested in your car "Volkswagen Beetle 1971" advertised on PakWheels.com. Please let me know if it's still available. Thanks.